Owing to the rich industrial experience and expertise in this business, we are involved in providing Dell LCD Refurbished Monitor. As Spas Computers, Genuine Products Parts fully Working and Tested as per Requirements in cheap Prices.All Big Brands Like Dell, HP, Lenovo, IBM, Sony, Asus, Acer etc.are available with 60% Discounted Prices, All Products are As Good as New. Used LCD (Liquid Crystal Display) monitors offered by us are available in different sizes as per the requirements of our clients. Our used LCD monitors are widely used in different homes, offices and cybercafe as these used LCD monitors are comparatively low in price form new monitors. 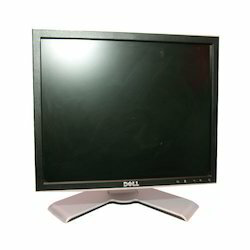 We have been appreciated by our clients for offering quality used LCD monitors. Vibrant offers used & refurbished Spirent load balance-rs, security devices, routers and switches.